Absolutely the best way to explore Croatia is by car. The country is small, roads are generally in good condition, and you can simply see so much even in a short period of time. A1 motorway, popularly called Dalmatina, connects Zagreb with Ploce since 2011 when construction of this motorway was finally done. This means that you can easily reach entire Dalmatia via nice, modern, multiple-lane highway. From Ploce, you still have about 100 km to Dubrovnik, on a coastal state road D8. This road is in a good condition, but it is mostly a two-lane road. At few places you have a double-lane on one side of the road (the ascending side), while a single-lane remains on the other side (three lanes in total). This helps a lot when you are stuck behind trucks and other slow-moving vehicles. However, coastal road winds a lot, skirts along high cliff edges at some places, and passes through many villages, where you are highly advised to respect speed limits. This makes a trip a bit long and tiring. There are other few roads that you can take to reach Dalmatia from north. D1 road passes inland, through Plitvice Lake, and Knin, and then down to the coast where it joins the D8 road. D8 (former E65), also called Jadranska magistrala (Adritic coastal road), is a coastal road from Rijeka to Dubrovnik. This is perhaps the most scenic road in all Croatia, especially popular among motocyclists. A part of the road from Rijeka to Zadar is the most difficult to pass, but also the less frequented. Which road you'll take depends on your budget and time. For A1 motorway you'll need to pay tolls to run on it, but it's also the safest and fastest way to reach south. Road tolls from Zagreb to Split amounts to 175 kn one way. D1 and especially D8 are both good roads, and a viable option to reach Dalmatia from the north. And while you'll save on tolls, you'll spend more time driving (although not so much more). Since the motorway has opened, less people use state roads. This makes them less busy, and faster too. A6 motorway connects Zagreb and Rijeka. The distance between the two is around 150 km, and highway costs 70 kn each direction. Multi-lane highway ends in Rijeka and further west to Istria, you drive on a two-lane road. To get to Istria, you'll pass through the Ucka Tunnel. 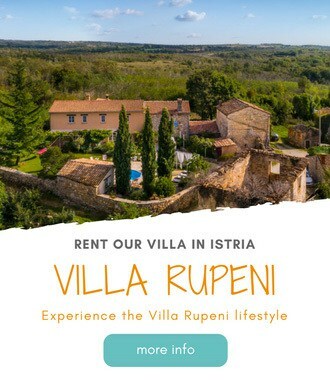 After the tunnel you continue driving through Istria on the main Istrian road called Istarski Y due to its shape. This is partly two-lane road (until Pazin), and partly multi-lane road (from Pazin on). Istarski Y have tolls, and they amount to 44 kn from the tunnel Ucka to Rovinj (exit Kanfanar), and to 54 kn from the tunnel to Porec (exit Baderna). You can also reach Rijeka and Istria from Zagreb using toll-free two-lane state roads. They first pass through Gorski Kotar, over Jelenje to Rijeka. Then further west you can take a coastal road D66. This road has been improved a couple of years ago. And while it's curvey, it also offers some wonderful scenic views. It's popular among motocyclists. Big cities like Zagreb, Rijeka, and Split are loaded with traffic at all times, especially Zagreb. While real rush hour is normally from 7.30 am-9.30 am, and from 4.30 pm-6.30 pm, the rest of the day, traffic-wise, isn't much better. Zagreb is lovely to drive around in August as town gets devoid of people. However, in big towns you mostly won't need a car except to get in and out of town. All big towns have very good public transport. We advise you to use it. Village roads are really good everywhere you go in Croatia. And while they do get busier during the tourist season, they are still nice to drive on. Roads off the beaten path are narrow, twisty, unlit, and don't have a white line in the middle, but they are also devoid of traffic. When driving in countryside pay attention to small and big wild animals (rabbits, deers, phasans, porte-pick, foxes) you are likely to encounter. On these minor roads you can also have tractors, and other farm vehicles. Driving In Croatia | Pin me for later! In Croatia you've got two types of drivers: locals, and tourists. Although in a totally different way, they are both equally dangerous on a road. Croatians, especially in Dalmatia, tend to be fast, impatiant drivers, who aren't shy to cut, overtake (sometimes even on blind corners), horn and swear at you if they feel you are slowing them down. Croatians also use a horn to greet friends and aquitances the encounter on the road (although this is getting out of fashion in last years). Tourists, on the other hand, are often lost, and tend to take a sudden turns as soon as they see something interesting along the road. But, things are not that bad as they might sound. Most of the time you'll have a pleasant time on Croatian roads. Just pay attention (and skip that sudden sharp turn when you see honey stand along the road). Observe speed limits. Inner city speed limit is 30 to 50 km/h; on open roads speed limit is up to 90 km/h (but with lots of slower limits in curves, and other road conditions); on all major toll roads speed limit is up to 130 km/h. Like in the rest of Europe, Croatians drive on the right side. If possible, avoid travelling on weekends in summer. Traffic congestion on the roads is common. Your country driver's licence will be sufficient to drive in Croatia. However, International Driving Permit, while not mandatory, is recomended. Road rules are similar if not the same like everywhere else: observe a speed limits, don't use your phone while driving, and wear a seatbelt at all times. Dipped headlights are mandatory at daytime during the winter (October through March). Alcohol rule is somewhat complicated: permited blood alcohol limit for driving is 0.05%, as long as you don't have any road accident. Involvment in any accident stipulates immediate zero alcohol tolerance (a mandatory breathalyzer is required for any accident). Stop signs are mandatory, and right turn is only allowed if a traffic light is green. Traffic conditions are transmitted in Croatian, English and German via HRT 2 (98,5 MHz), and they also have news in these languages. The price of fuel is 9 kn/L for diesel, and 10 kn/L for gasoline. Croatian Auto Club (HAK) has a useful smartphone application with detailed traffic information and condition, weather info, live web cam images, and more. It's free to download. Get it here. Plan your routes in Croatia with ViaMichelin and Google Maps. For more info about motorway and pay-tolls, visit Croatian Roads (HAC), Motorway Zagreb Rijeka, and BINA Istra. We hope you've got a good idea what to expect on Croatian roads, and what a driving in Croatia is all about. As always, if you've got any question, please leave it in the comments below. Hi we are traveling from US to Venice (and Rovinj) for 10 day trip in August. We are renting car and traveling to a wedding in Rovinj for 4 days. Would you sugggest day trip to Pula with two young boys (6&9)? We are staying in Old Towne and returning to Venice to fly back home. Also, anything we should expect traveling by car from Venice to Rovinj? I’m also planning to visit Plitvice lakes. We are 2 in total and have each have a luggage. Hi Frank – We are flying out of Dubrovnik on October 20th at 1:30 PM, to return to London. We are planning on driving from Split to Dubrovnik that same morning, rather than driving back to Dubrovnik on Thursday. How long should we allow for our drive that morning in order to be at the airport for 11:30 am? Thank you for the articles with regards to traveling in Croatia. 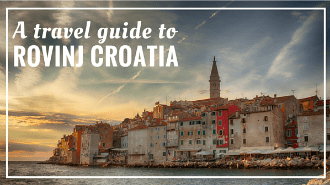 These provide us with insights on Croatia and is extremely useful for travelers like me. I’m planning to visit Croatia, arriving Dubrovnik on 16 nov from London, and will be flying out from Zagreb on 9 December to London, giving me a total of 24 days. My traveling style: slow and steady with less traveling from one point to another so that I am able to maximize the local cultural value. My main objective of this travel is to experience life as a Croatian, hence not really into touristy area. I do enjoy going to markets, wines, foods, sightseeing hilly places, seas, more incline to nature. I do understand that my traveling is during winter as I would like to spend my time in Zagreb for the Christmas celebration . I would appreciate your advise just in case my plan is too ambitious (I think it is, but I’m contemplating to drop any of the above place), also if there is any places worth visiting that I have missed out. My plan is still at preliminary hence I am open for suggestion (places that is worth and I can rearrange my time). Also, I’m planning to drive as this will give more flexibility to my partner (injured leg but still can walk, only slower). During my time in Croatia, will it snow? Will it be challenging for me to drive as I come from a tropical country, sunshine throughout the years hence I have no experience driving during winter. Also is it worth to travel to Osijek? Is possible to pay with euro in Croatia? There are hotel from Split to Zagreb on the road. some things are available in euro, like accommodation, highway fees, restaurants, etc. There are hotels between Split and Zagreb, around Zadar, or Plitvice, you’ll have the largest choice. However, it’s only 4h drive, so maybe the best is to drive straight to Zagreb, unless you want to visit another place along the way. yes Bosnian territory cuts into Croatia in Neum. There are two border-crossings here: one into Bosnia, and after about 10-km back into Croatia. Queues can be long. Another way is to go to Trpanj on Peljesac peninsula, and cross with ferry to Ploce on the mainland, but at the end it will take you the same time, and it will be more costly. Just prepare yourself for some waiting at the border, but don’t get discouraged. As for island hoping with or without car, it all depends which island, and if you would like to visit only port town, or explore the entire island. If on the island of Hvar, you only wnat to see Hvar Town, or on Korcula, only Korcula town, then leave the car on the mainland. Thanks for the info Frank. I’m leaning towards renting a car and dealing with the borders. Any tips on a good route to take and places to stay and visit? I so wish we had more time than 6 days 🙁 We arrive at 4pm in Dubrovnik so was thinking we would need a 3 night stay there to be able to appreciate the city. So appreciate your input. As of today, we don’t have any accommodations booked. Looking at all the AirB&B type site….kind of overwhelming. Also trying to figure this out with me in California US and my friend in Manchester UK is making it quite challenging. We are flying into Split and heading to Dubrovnik. From there we will head to Kotor and then back to Split to fly home. I was thinking a car would be best as to not deal with buses and taxi’s. We have two children with us as well (ages 9 and 10) Will we be safe driving? I know the views would be amazing but you mentioned it would be safer to take the A1? We are driving on a Tuesday morning. And driving back from Kotor to Split on a Monday. I planned to prebook a car to pick up at the airport. We plan to drive from Split to Dubrovnik on 8 Oct, which is Independence Day. Will using the coastal state way (D8) be ok – not sure if traffic will be congested. For couple of days stay in Split and Dubrovnik will having a rental car be better option or just using it to drive from Split to Dubrovnik. Is it easy to get a rental car during this period ? With pick-up at Split and drop-off at Dubrovnik. October 8th is on Sunday, so traffic should just be as usual. October should be ok to get a car, but in any case, try to book it in advance, as many rental car companies return cars to leasing companies at the end of season. So while there is less demand, there are also less cars on stock. Different pick-up and drop-off locations within Croatia ar eavailable, they will just charge a fee for this service. Enjoy it! unfortunately seaplanes are still grounded, and as I’ve heard they won’t be operating in 2017. Thus, driving is your best option. Have fun! Hi Frank we plan to drive up from Dubrovnik to Zagreb in mid October. Kindly suggest when should we book our car. pointers for the drive. We plan to cover this distance in 4 dyas, hence places to stop and spend the night. Also we are used to the right hand traffic hence drive on the left side of the road. My wife and I are renting a car and travelling from Dubrovnik to Pula. We have 5 days to complete the drive. May I ask which is the most scenic part of the trip? Hi, Frank. I’m about to travel to Croatia on early April. I will start from Zagreb and make my way to Dubrovnik). I’m trying to decide between renting a car or using the bus for transport. If renting, should I buy the Full Protection that’s being offered (more like pushed) by the car rental company (Oryx, I think)? Is there a way where I can rent a car part of the way and also using public transport so I can save some money? Is it worth the hassle? I sure would appreciate your input. Thanks in advance. Great blog, by the way. since you’ll be traveling in April when tourist demand isn’t that strong, you should be ok with renting a car on spot when you need it. As for full coverage, you know how it goes, you usually don’t need it until you need it and then you are sorry not to have bought it :-). Hard to answer really. Have fun in croatia, and let us know if we can help with anything else. We are thinking of driving to Pag from Rovinj for a one night stay before we head to Split to catch the Catamaran to Hvar. My travel agent says the road is only one lane with many curves. I am a good driver and adventurous and feel we would be fine. Any thoughts? I think you should be fine. There shouldn’t be much traffic at this time of the year. What way you plan to go – coastal road through Senj, then catching a ferry Prizna-Zigljen; or by motorway down to Zadar and then crossing the bridge? Which is fastest/best? I hadn’t gotten that far in my planning. I believe we will be staying at the Hotel Boskinac in Novalja, so it looks like the ferry? Dennis, nothing to worry about regarding driving along the coast. Most of the road has guardrails. You’ll be fine. Itinerary sounds good! We are driving from Zadar to Split to stay for 2 nights then drive down to Dubrovnik. Which drive would you recommend taking the coastal road versus the freeway? Zadar to Split or Split to Dubrovnik? Is the scenery very different of the two? definitely the drive from Split to Dubrovnik – awesome vistas! Thanks for this article we will be hiring a car from Zagreb next week to drive through Slovenia and Croatia. What about parking, do you have free and metered parking? And is there time limits and are they well sign posted? Also our longest drive is from Zadar to Dubrovnik, what route would you suggest? I was thinking the freeway as we have more time to explore the coast on the drive back to Split via Gradac, Markarska and Brac. thanks for stopping by. Yes, all towns have free and metered parking. However, free one is really hard to find in high season. A parking fee amounts from 5 to 15 kn an hour, depending on a town and a town zone (proximity to center). 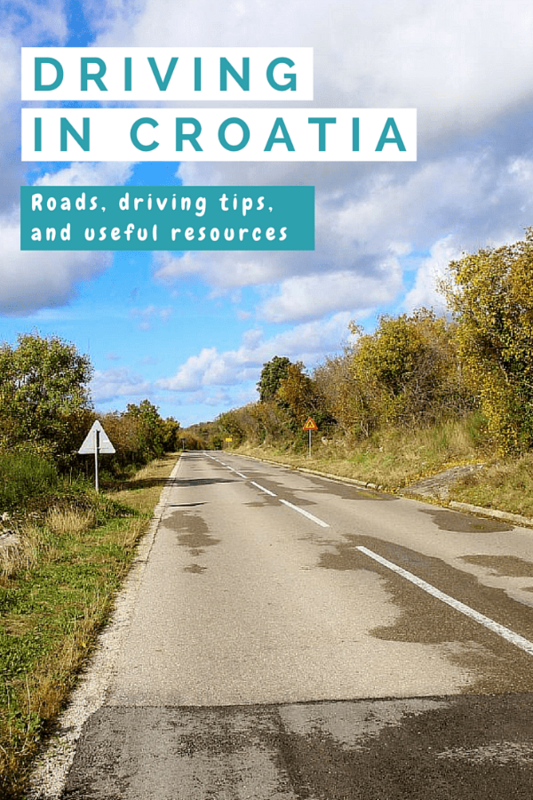 Coastal road from Zadar to Dibrovnik is lovely, but since you plan on going back to Split afterwards, I would suggest you to take a motorway A1 from Zadar to Dubrovnik, and take a coastal road D8 (E65) from Dubrovnik to Split. Thanks for this article – it is very timely as we are currently working out whether to hire a car or not in Croatia. Some companies will try to charge you cross-border fee, but you don’t need any extra insurance (cross-border included) as long as your hired car has a green card – a document recognized by European insurance companies that’s basically a guarantee that the car has a minimum insurance in a country where it’s registred. Bosnia & Herzegovina, as well as Montenegro are both part of this agreement. Besides, if you drive through Neum (a coastal town in Bosnia that cuts through Croatia, and splits it in two parts) is considered transit and no extra insurance is needed for this part. Whether you’ll rent car or no, depends on where you plan to go. If you’ll be hopping from one town to another (Zagreb, Zadar, Split, Dubrovnik), you can use public buses. If you plan to visit Istria, islands, and if you like road trips, car is the best way to explore. Hope that you guys will have a great time in Croatia! Let us know your itinerary once you finalize it, maybe we can meet somewhere in Croatia. If you do decide to drive, make sure you pre-book car seats for your kids asap. We booked our Croatian rental car months in advance and even the kids car seats and they forgot and had none to give us! (Fortunately we have family in Croatia who were able to organise one for us). I would also add with rental cars, that the majority are manual. If you want auto transmission, you have to book ahead. We were not able to secure an auto transmission car despite booking 4 months in advance. Thanks for helping out, Natalie!